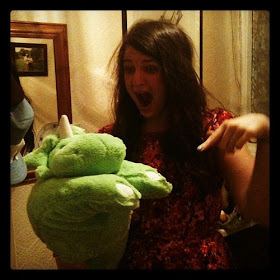 t*rexes and tiaras: staring at the ceiling in the dark..
new additions to the wardrobe zoo! Quick outfit post from the weekend. I've been waiting for these shoes to arrive for a long while now, but finally had a phone call from a random stranger in my town to say they'd had a parcel wrongly delivered to them, so that solved that mystery and I drove round there and apologised profusely to him and picked them up. The less said about the appalling delivery company, the better. I think I need to have a few weeks off buying any more new dresses. The ones above are just *some* of last week's new additions. 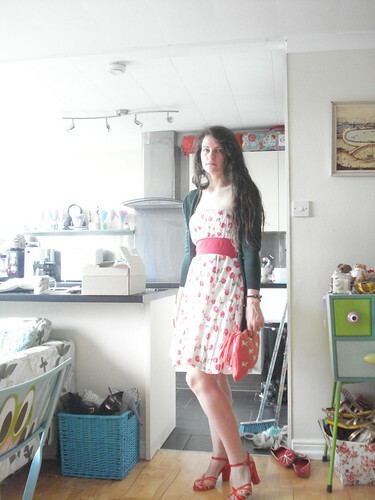 (Plus a puffin tee which has been bookmarked for an age and I added to my order when I bought this floral dress!). 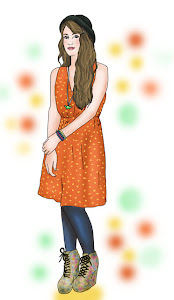 I've already mentioned the fox dress. 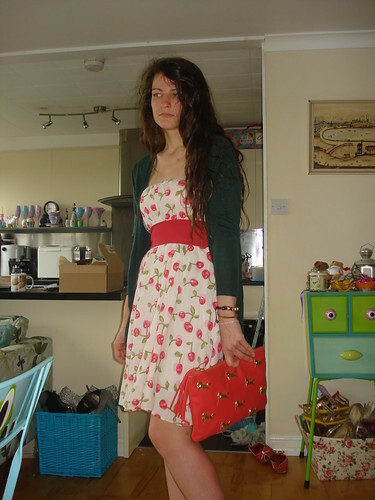 The giraffe dress is from Fever, and the garden bird print and mushroom print ones are Cath Kidston. I may need another wardrobe. P.S. Have you entered my giveaway yet? If not, you can have a look here and enter to be in with a chance of winning that cute little ipod- wish I'd bought one for myself as well! 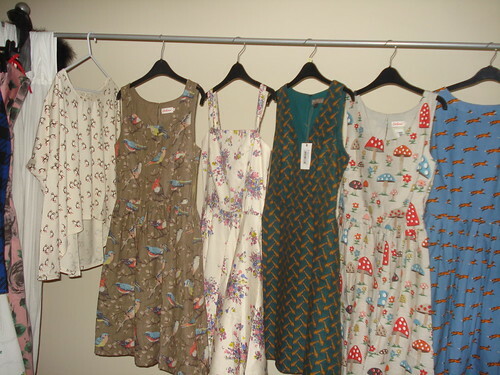 Oh wow, look at those cute dresses! YUM. That awful delivery company reminds me of the time a courier delivered my new laptop to a stranger down the road. Thankfully their neighbour knew my brother so brought it back to me! Ugh. Thats where all the pretty dresses are! I love the fox print. Can't believe that about the delivery, how nice of the person to get in touch though! 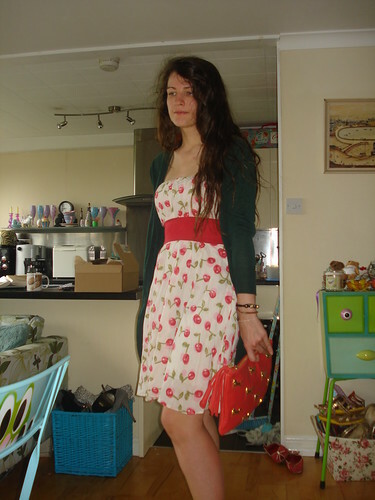 Loving that horse clutch and I'm so jealous of those Cath Kidston dresses, was just eyeing them the other day!